Yesterday was Maayan’s school bat mitzvah party—a four-hour extravaganza of street performances around Nachlaot and bagels with cream cheese and speeches and musical interludes (that included my Maayan tooting away on her harmonica). Our regular babysitter had told me should could only come for two hours, from 5-7, to watch my younger children, and I planned for my teenage daughters to babysit for the rest of the time until I came home. But around 8:30 PM, during the speeches, I checked my silenced phone and saw that I had received almost ten phone calls from home over the past twenty minutes. So I told Maayan I was going to have to miss her final dance, and I rushed home. On the way home I felt so bad that my teenage daughter had been so frightened because of me….And for the next few hours I felt that sort of sickly feeling that you get in your stomach when you feel really badly about something you did. But right before I went to bed last night, something occurred to me. I realized that any possible way I would have handled that evening, I would have ended up feeling guilty. If I would have left the party early to be home at 7 PM when my regular babysitter left, Maayan would have been sorely disappointed I missed half her party, and I would have felt guilty. If I would have found a new girl from the neighbor to babysit instead of my teenager, my younger children would have been really upset and probably would have cried a lot, and I would have felt guilty. If I would have taken my younger children to the bat mitzvah extravaganza, then they would have been disruptive, and I would have felt guilty. And it occurred to me how humbling motherhood is. It’s like being the lone doctor on shift rushing from bed to bed in the emergency room. Inevitably, somebody’s really going to need me, and I won’t be there. At the bat mitzvah party last night, there was one thing that made me cry. This party had been a logistical nightmare for the teachers to put together. And towards the end of the party Morah Achinoam, Maayan’s 6th grade teacher, thanked Hashem for the constant Divine help she had experienced while planning the party. And when she said that, tears came to my eyes. Tears of intense yearning tinged with (please don’t tell Morah Achinoam) JEALOUSY! Look what a sense of mission a teacher has! If only I had that sense of mission, of Siyata dishmaya in my own life, EVERYTHING would be different… I thought sadly. Because I realized that I, as a Jewish mother, am also raising and educating Hashem’s children. And that means that even when I feel I am not managing. Then Hashem surely, surely is helping to take care of His children. All I need to do is open my eyes, like Morah Achinoam, and see Him there by my side. How true, and how beautifully you’ve conveyed the message! I’m sure every mother can relate to this, and grandma’s like me need that reminder when they look at how their children are raising the next generation. 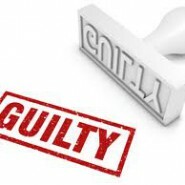 Guilt is like the salt in a cake recipe- a tiny bit, perhaps, will enhance the taste, but more than a pinch, and it’s no good. Thank you. Beautiful message that I needed to hear tonight, when my husband has been gone for 2 days and I am being pulled in every direction with no breaks at all. Thank you! This post brought such tears to my eyes! You have summoned the similar feelings with in me, and G-d-willing I will realize that even when I feel I am failing–or have failed–I will try to kindle the true sentiment you discovered-that haShem will catch us. I love love love your blog, and read the entries with joy as I anticipate learning new wisdom. What a truly beautiful post, it touched the spot of truth in me, and validated that all we can do is our best as human beings. Hashem has promised us that He takes care of the rest. Why dont they allow kids to attend the performance? Probably many mothers have problems getting baby-sitters. after much searching the only hall they could find was very squished, so each girl was only allowed to bring two guests. Also, small children can be disruptive during speeches etc.